Best buy in the Heritage Townhome Community! Hubbell Homes is giving you more ways to save in Jan. with a mortgage rate reduction, paid closing costs w/preferred lender, and appliance choice when you buy this home! Shorten your to-do list & free up your time! 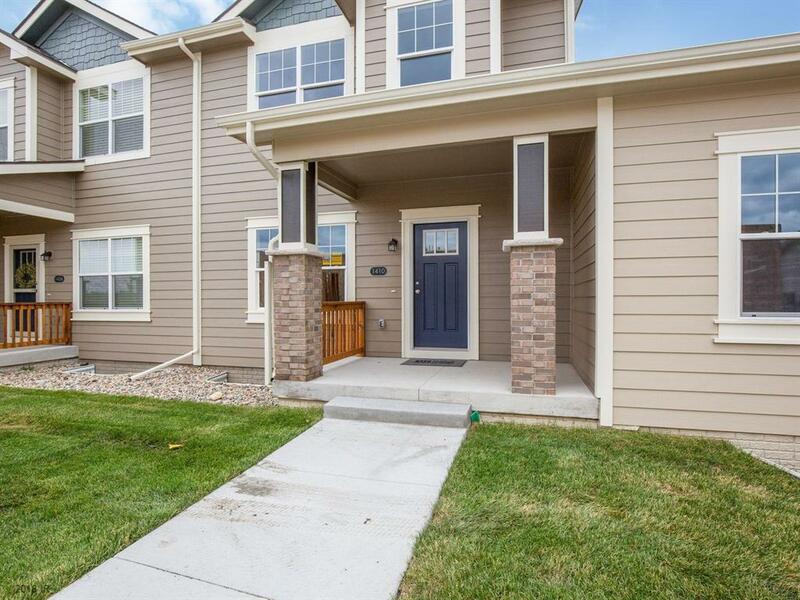 Convenience is at your finger tips at The Heritage Townhomes in Prairie Trail. Family life made easy! Home to the new elem. & high school, 3 pks, movie theater/bowling alley, aquatic center, & new library. This community is perfect for your active family! Plan your wknds around bike rides, picnics, instead of yard work and home maintenance. The kitchen features soft-close expresso staggered cabinets, tile backsplash, granite counters, and SS appls. Appreciate the flow created by upgraded hard surface flooring throughout the main living area. The master retreat features a full tile surround shower, granite vanity, & HUGE W/I closet. Come see Heritage Townhomes today!